We just discussed Set and Setting for a successful meditation session. Please keep in mind that though I outlined a rather detailed process for meditation, there really are no rules when it comes to mindfulness. In essence, anything goes as long as you find your mind rooted in the moment away from fear and fantasy, past and future. When you are mindful of the present you are meditating in some facet – you are evolving and centering yourself in a Responsive Universe. Any mindfulness is meditation and even one minute of mindfulness is better than an hour of mindless brain chatter. With any meditative session, you will begin with your set and focus to get comfortable and concentrate on your breathing. After achieving command of this phase of meditation, next comes a feeling of “deepening and appreciation”. As you become more comfortable with your breathing patterns, they will become automatic, like a backdrop in your mind allowing a new lesson or thought to be your primary focus. Use a mantra to help with breathing and focus. Again, it is totally normal for your mind to wander as new thoughts or perspectives enter your mind. Just continue to treat all thoughts as guests, and when you feel like you’ve gotten side-tracked, gently refocus on your breathing. Never get frustrated by the many thoughts you have – just simply be aware of them and move on. Over time, a deepening and appreciation within your heart and mind will emanate from your practice. You will eventually cut through the social static, your ego, and the control patterns that shape you and connect to your True Nature. The goal of meditation is to find your inner voice that speaks the truth and wants one thing only – happiness. Not happiness as it relates to the ego’s needs, but happiness as it relates to True Nature. Through meditation, you will settle into a level of clarity and space that breeds an innate level of responsiveness. You will feel a new confidence that springs from a deeper level within yourself. It isn’t a confidence that comes from the ego, but a confidence that wells up from deep within and brings a smile to your face for no apparent reason. It is a confidence that tells you that everything is going to be alright. It is True Nature speaking from the source. The second step of deepening and appreciation is a continual work in progress. 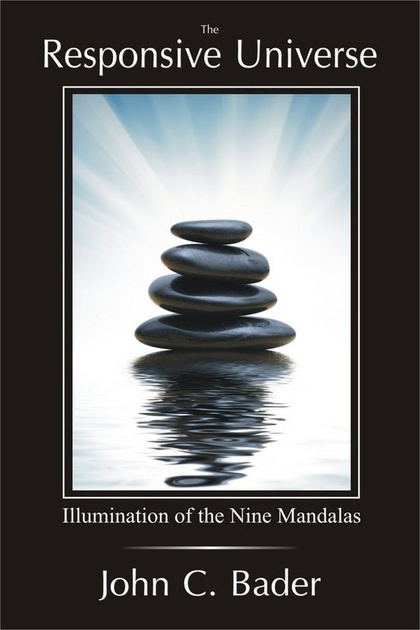 As you traverse through the Nine Mandalas, you will begin to find a new person. That new person is a self-actualized you! Deepening and appreciation will stem from your openness to self-discovery and gaining clarity and responsiveness from a fuller understanding of yourself. This step of deepening and appreciation will give you the building blocks you need to move forward towards a self-directed future. 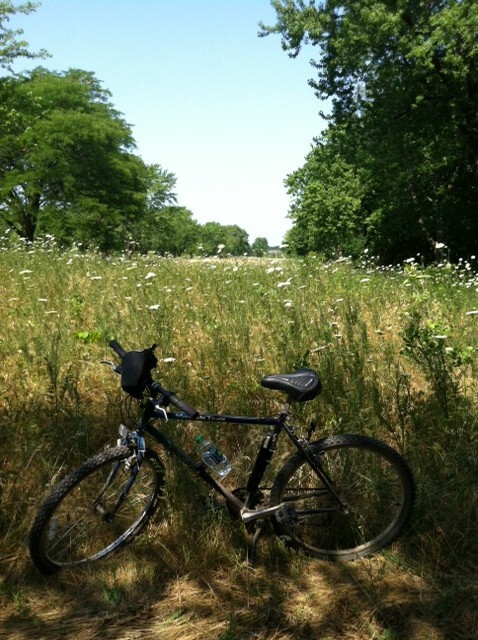 Even riding a bike in nature is meditation if you are present and focused in the moment. I find walking or riding meditations to be the most inspiring due to the fact that your body is enjoying exercise as well as mindfulness. Did you know you can meditate anywhere? The exit or completion of a meditative session should be relaxed and smooth. Slowly open your eyes if they were closed, and feel free to stretch while getting up from your meditative position. You can take a moment to go outside and breathe in some fresh air. Focus on an element of nature – a cloud floating by, a tree, a flower, or just take in the view you see. Examine and appreciate the detail and the beauty in what you observe, and then go about your day. This type of exercise is an example of daily life awareness. Focusing on the detail in what you observe around you is a way to take your meditative sessions further into your daily activities. Daily life practice allow us to be more in control of our minds and more focused on the controlled chaos that often runs the day. After your first meditation, you will be aware of how busy and overactive the mind can be. Sure, you knew that your mind was always thinking, but have you ever tried to slow the thinking and examine all of the thoughts? Have you asked what a thought really is and where it comes from and where it goes when you stop thinking it? Reveling in the details of thoughts and observations will allow you to bridge the gap between your meditation practice and the day’s activities. Increasing your level of awareness in both realms will enhance each experience and create a continual cycle of deepening and appreciation. Increased awareness breeds an increased sense of self. Thanks for the reminder to slow down and listen to our breathing so we might become one with the universe if even for a short time.